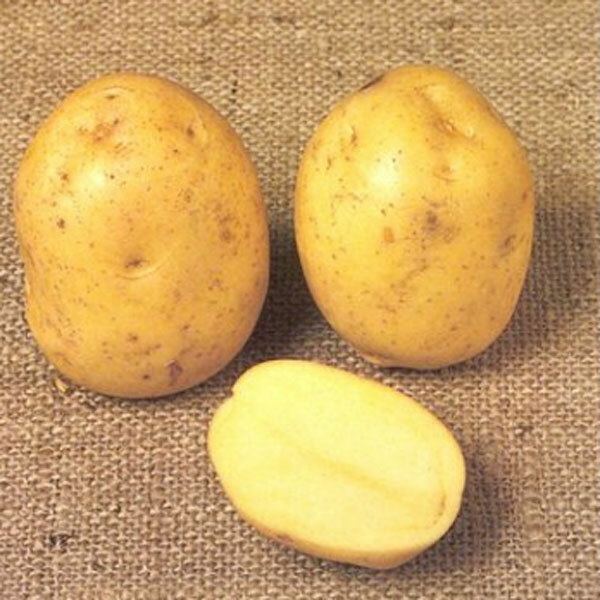 Introduced in 1979, Premiere tubers are yellow skinned and the flesh is also yellow and tasty. 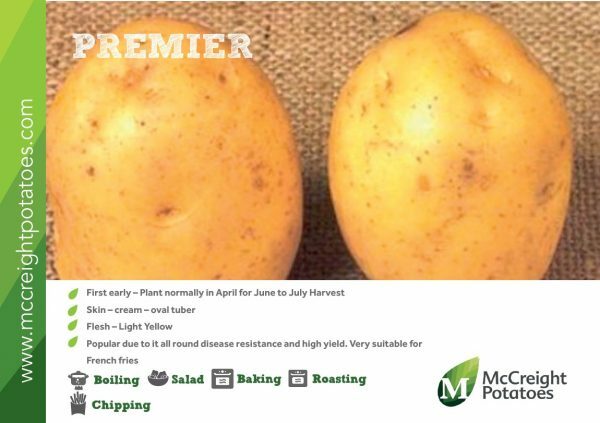 A high yielding variety suitable for early French fries, with medium yields, early bulking and high dry matter. 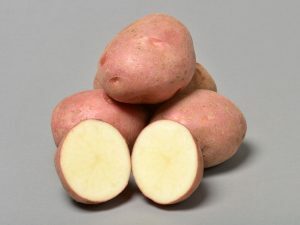 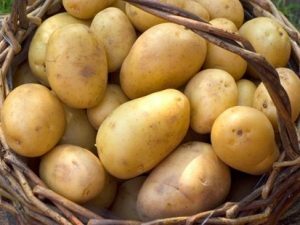 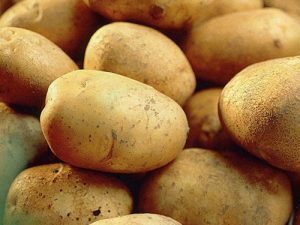 Premiere potatoes are popular due to their great all round disease resistance to blight, common scab, powdery scab, spraing and they are also resistant to Potato Cyst Nematode. 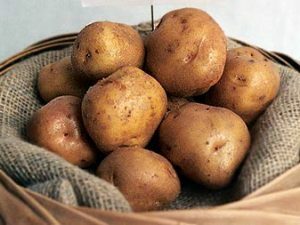 The sort of spud you can plant and not have to worry too much about!